NASA: Cosmic rays hitting Earth are 'bad and getting worse' | Watts Up With That? Bad time to schedule a trip to Mars? Just put some tinfoil round the ship. And magnetise the hull. Is the from the Earth to Sky Calculus group? Or coat your spacecraft in water ice a meter thick. Or just put the water tanks on the outer skin of your ship. The price is going up due to the tariffs. I would suggest not waiting too long before stocking up. Have you ever thought about angle of deflection from a relativistic proton when the hull is say only 2 cm thick Al and just a meter or so from human flesh? Water freezes, then what? Use valuable electricity to keep it warm so that it is liquid and usable?? Actually water is an excellent insulator from harmful cosmic rays. Too bad it’s so heavy, but on the bright side they can produce it once they’re in space. Did you read those levels of “tin foil”? Aluminum’s density is 2.7 g/cc. to get 10 g/cm2 the shielding would have to be 3.7 cm thick (almost 1.5″). Now that will account for multiple walls, however space craft walls are no where near that thick. However, there are better lighter weight materials than aluminum, such as water and polyethylene. Yes, surround the cabin with your water supply and holding tanks. External ice shells will offer another means of protection against micro-meteoroid orbital debris damage (MMOD). Maybe a good place to freeze the waste? Until we invent deflector shields we’ll have to get by with what we know. We just had that one. Cycle 25 looks to be a bit stronger than 24 so the hyped ‘warning’ may be a bit premature. The last time we had an extreme winter even close to this one, we had very high cosmic ray intensities. It is probably not a coincidence that we have seen alarming low temperatures and snow events in areas that normally do experience events such as this winter without some reason behind it. So, to cool the global climate, we build giant accelerators on the moon, and irradiate the atmosphere of earth? There’s some carbon off-sets for you. To combat this and it”s deleterious affects, those who feel they are subject to the effects should make hats out of aluminum foil to ward off the cosmic rays and help others to be aware of this danger! Question If the barometric pressure,humidity, location and time of year are exactly the same and there is a cloudless sky should the temperature also be very similar except of course for the level of solar iradiance which could be easy to calculate? Finally if this is the case shouldn’t a higher level of c02 also have a warming impact where these conditions are the same? Am I missing something with this question? Is there nothing that man-made CO2 is not capable of!?! Don’t be giving any of the crazies any more crazy ideas. I thought the point here is that this proves CO2 is not capable of anything. I’d like to know why high CO2 in the interglacials does not seem to stymie a steepish plunge into the next glacial cycle. Pretty sure an actual global greenhouse (a real one that is) wouldn’t tend not to do that. So logically, the CO2 would have to drop rapidly FIRST, for the greenhouse to vanish. Yeah-but, no-but, yeah-but … the TEMP drops FIRST, … and THEN the greenhouse glass breaks. Now that’s just a little bit sus. I thought your goal was to make sense? CO2 does do a lot of good things. Isn’t that pretty much what we would EXPECT, those of us who have suspected that we’re in for an extended “Dalton Minimum” type cooling? The Sun is entering a quiescent phase, and solar activity is decreasing, and the solar wind is less able to block galactic cosmic rays. I can’t even pretend to be surprised by this finding; perhaps the Warmists will suddenly face the reality of a COOLING climate for a while. how do cosmic rays cause cooling? “Finally, we have the last piece of the puzzle explaining how particles from space affect climate on Earth,” researcher Henrik Svensmark said. Simple answer: More atmospheric ions, more clouds, higher albedo. Hendrik Svenmark is a good place to start. Just because both happen in sync doesn’t mean one must cause the other. There are other logical possibilities. Think about it. If you could make and inject the correct ions in the the right places, you’d have an effective global thermostatic knob. Do they use knobs anymore? Whatever, an app then, I’m flexible. Fron what i have read, cosmic rays cause cooling by seeding clouds. Increased high altitude cloud cover increases albedo and reflects more sunlight back into space. While low-level cloud cover can insulate from heat loss during night time high level cloud cover is not as effective and results in a net heat loss. Richard: Correct that correlation does not equal causation, however, CERN has done some experiments that seem to indicate that Hendrik Svenmark’s theories are correct. David Paul Zimmerman, my understanding is that high, wispy. cirrus clouds are thought to have a warming effect because they are made of ice crystals, which makes them much more nearly opaque to outgoing longwave infrared than to incoming visible and near-IR solar radiation. Lower clouds, which are made of liquid water droplets, have a strong cooling effect in daytime, but a warming effect at night. CO2 must be to blame… at least partly. Too good an opportunity to miss. Is the prospect of a lunar colony now limited to robots? How far underground do cosmic rays penetrate? Should we blame the same coal miners who killed all the penguins in Iceland? You mean “the Great Auks”? Otherwise I will have to upgrade to a new fact: penguins in the northern hemisphere. That’s like polar bears in Antarctica. Plenty to eat, but how do we get them there? Yes the original Penguins, Great Auk (Pinguinus impennis), after which the southern ones were named. Name possibly derived from the welsh, Pen Gwyn (white head). The rocks were covered with blackbirds [referring to Guillemots] and there were the Geirfugles [Great Auk]… They walked slowly. Jón Brandsson crept up with his arms open. The bird that Jón got went into a corner but [mine] was going to the edge of the cliff. It walked like a man … but moved its feet quickly. caught it close to the edge – a precipice many fathoms deep. Its wings lay close to the sides – not hanging out. I took him by the neck and he flapped his wings. He made no cry. I strangled him. He is correct – there are no penguins in Iceland. It must have been the coal miners. Personally, in Iowa, I put a banana in my ear to keep away the alligators. Works really well. Thanks for the link. Tardigrades are so impressive. Since any lunar colony is just a staging stop for a trip to Mars, and since Mars is a one-way ticket, I suppose the cosmic ray exposure will only perhaps shorten the colonists’ viability marginally. In the grand scheme, it matters little if they survive twenty years or two. Until that certainly eventual solar CME blast sends a truly horrendous blast of high energy solar protons at them. They get a blast of ~5-10 Grays of radiation in a few hours…. then it’s all over…. except for their last day or so of vomiting up blood in their pressurized space helmets and aspirating and choking on their own vomit, while gasping for air.. 100 million miles from Earth. With nuclear powered rockets, Mars need not be a ‘one way trip’. We can’t build nuclear powered anything here in the US anymore, unless it is a Top Secret nuclear submarine. We need to get Clint Eastward to liberate one from the rooskies. Why should a trip to Mars be a ‘one-way ticket’? With Buzz Aldrin’s “Mars Cyclers”, Mars need not be a ‘one way trip. Water ice one meter thick can be used to shield the habitat area from lethal radiation. An underground (sub-lunar) colony on the Moon? Really? What would be the point then of such a massive expenditure of Earthly resources to establish such a thing? The Moon’s crust is made of the same stuff as Earth’s crust. Why not just dig a mine here on Earth, stuff some naive people in it, seal it off except for radio comms, and just call it a lunar colony? Because solar power collection on the moon is not subject to atmospheric losses or environmental concerns. Read Heinlein’s “The Moon is a harsh Mistress” for other ideas. I am not saying the moon would be cost effective unless space elevator and or catapult launch systems were developed first. They have documented volcanic tubes on the Moon. Some of these tubes are huge. All one has to do is seal off the ends of the tube and you have an underground livable space requiring much less effort or materials than building structures on the surface. That’s the plan at least. The main reason for establishing a base on the Moon is to mine the water ice that is there. The water ice can be used to make rocket fuel/oxidizer which will be used to develop the Earth-Moon-Mars system further. It’s a lot cheaper to supply this from the Moon than from the Earth. An alternative for powering a Moonbase would be to use Solar Power Satellites (SPS) to collect the energy in orbit and beam it via microwaves to the Moon or to locations in the Earth/Moon system. An SPS could also be used to accelerate small probes to great speeds and use the probes to make a relatively quick survey of many interesting objects in the solar system. I think the 1 g gravity would give it away. RS: We aren’t talking about the brightest of bulbs here. As far as the volcanic tubes go… Yes, I’ve read about them. And how some folks have proposed using them as already made caves to build habitats in. First, from a practical safety standpoint, how structurally sound are those lava tubes to vibrations that human construction and development would surely bring? Collapses, cave-ins? Safety would have to be the highest priority on any lunar mission, as there is no hope of timely rescues or an ability to bring in heavy equipment to dig people out as we do here on Earth after an Earthquake. Even at 1/6 g, a thousand metric tonnes of rock is still gonna hurt bad when it falls on you. Remember, the moon has no tectonic activity to shake things up. Those lava tubes could be utterly fragile, with collapses waiting from even the slightest vibrations to bring ceiling debris crashing down. There has been the occasional meteor strike. But the period of heavy bombardment has long ago ceased, and it was that bombardment that help drive magmatic activity that created the lava plains on the surface and those tubes. Those all ended billions of years ago. Finally, you have to have a justifiable reason to expend the vast amount of Earthly resources needed to even start such an endeavor. What would be the point? Yes, even assuming it could be done, the Why question has to be asked. It is not to return minerals to Earth, as everything in Lunar crust is also in our Terran crust. Operating a telescope or astronomical observatory complex, that can be robotics and AI remotely operated by humans safely in Earth’s cocoon. My experience is that they are not stable. The discussion of ‘skylights’ on the Wikipedia article (https://en.wikipedia.org/wiki/Lunar_lava_tube) is due to cave-ins. Cave-ins seem to be the norm in Lava Tubes, I suspect that any industrial type development would require substantial structural enhancements. Shackleton crater on the south pole of the moon has a peak on its rim we call the “Peak of Perpetual Sunshine” as the sun never sets on this peak. As the moon rotates through its day/night cycle (14 days on/14 off) this peak always sees the sun. It is a great spot for a solar base because there is no lunar atmosphere to cause obliquity issues. There is a lot of Helium-3 on the Moon. The Chinese are thinking about mining it. Another problem with operating on the Moon is the Moon dust. It gets into everything and clings to everything. As mentioned by David Paul, Heinlein conceived of a penal colony on the moon. Australia was such but is no longer, so there is no way to keep the trouble makers in Australia anymore. The are constantly leaving and infesting the rest of the world, or just promulgating/colluding in stupid governance with the UN … a lunar penal colony could serve as a solution to the infestation by shipping the obnoxious portion (primarily the governing class) of the Australian citizenry to the moon. From a cost/benefit analysis it definitely pencils out. And it would not have to be limited to only to Australians…. a lot??? concentrations between 1.4 and 15 ppb in sunlit areas…….. PPB ! The “trace gas” CO2 in Earth’s atmosphere is measured in ppm, but this He3 is PPB. 2) You don’t need to collect a lot of it. 3) Over the entire surface of the moon, even parts per billion add up. What is the point of anything in life? There are a great many people, including people with great wealth, who think that settling the moon, and later elsewhere, eg. Mars, should be part of the great human adventure. Since time immemorial, adventurers have chosen ventures that produce not wealth but greatness of experience. Perhaps having an Alexis in your home, or a turbo on your Porsche is what turns you on. For many, even a day on the surface of the Moon would be a day of greatness. As human wealth rises in general, the cost of space flight and colonies on Moon, Mars, etc will fall, relatively. And there is the Stephen Hawking argument that the only protection of our species from a planet-killer asteroid is having a bolt hole elsewhere, the moon being most convenient. About 18 to 24 inches of regolith heaped on top of structures will suffice, such as in sand bags. 2 ft of sand bags doesn’t weigh much on the moon. Tunneling will work well too. The down side to metallic structures is that they tend to absorb the radiation and remain “hot”. Solar radiation on moon is a bigger issue. Don’t these cosmic rays trigger water droplets to form? Increasing cosmic rays -> more clouds -> cooling earth, yes? No. see the latest CLOUD results. Steven , your reply is so dogmatic that it must surely have a heavy weight of evidence behind it , which we would all appreciate , if only your reply was not also so enigmatic, providing no references (a hanging offence when I was a student). By CLOUD do you mean the ISCCP ? -“The net effect of clouds on the climate today is to cool the surface by about 5°C (9°F). One can calculate that a higher surface temperature would result from the buildup of greenhouse gases in the atmosphere and the consequent slowing of heat radiation from the surface, provided nothing else changes. But what happens to the radiation balance if, as part of the climatic response, the clouds themselves change? Rossow, W.B., and A.A. Lacis, 1990: Global, seasonal cloud variations from satellite radiance measurements. Part II: Cloud properties and radiative effects. J. Climate, 3, 1204-1253. Rossow, W.B., and Y.-C. Zhang, 1995: Calculation of surface and top of atmosp here radiative fluxes from physical quantities based on ISCCP datasets, 2. Validation and first results. J. Geophys. Res., 100, 1167-1197. Admittedly those refs are old , so what new data are you referring to? There is a lot of information on that website , could you help steer our ways through it by pointing out the data that confirms your assertion? Might be possible to protect astronauts with an artificial magnetic field – some research suggests a very compact magnet would make a lot of difference. If we ever get high temperature super conductors, coating the craft with a layer of that would work as well. Why high-temp super conductor? You could just use a low-temp super conductor and space-gap (as opposed to air gap) insulate it, from sunlight and internal heat. Most current super conductors have operating temperatures just a few degrees above absolute zero. That would require active cooling. Magnetic fields protect against charged particles. Now what do you do about neutral particles, all the way from stray neutrons to heavy atoms/molecules? There are not many [any?] of them and they don’t get accelerated to near light-speed. 10-20 g/cm^2 of Al. This is exactly what you don’t want. The high energy cosmic rays hit the Al and scatter into much more absorptive rays (same number of rads, much more rems). For high energy shield you either want a lot or none. That and the essence of this study is things are much worse now because of a trivial amount of radiation might (as in really don’t know put it’s kind of possible) may cause cancer decades in the future. While the real risk of solar flares is significantly lower. Real being in the sense that if that radiation hits you, you’ll definitely be sick or dead in 30 days, no doubt about it. Chicken little syndrome all they way. Cosmic rays produce damage by depositing energy as they pass through. An energetic cosmic ray will go through the human body and only deposit a minor portion of its energy. If a moderate amount of shielding is used, say a thickened metal skin, the cosmic ray will splinter and produce many different particles of lower energy. Those particles will deposit a much higher fraction of their total energy in the body, causing more damage. An average cosmic ray proton can produce energetic particles a meter deep in rock (observed in returned lunar samples). So to really stop their effect would require considerable shielding — say an underground base on the Moon or Mars. Well, the 40’s were hotter than the 50’s. And in fig. 3 I see a low in the 70’s (ice age scare) and a new low forming now (new mini ice age coming). Svensmark’s theory is still my favorite compared to ANYTHING else coming from climate science. Also like the related theory of Shaviv, of climate effects of passage through the galaxy’s spiral arms. A cosmic climate we have. No doubt in my mind. My bet is that Svensmark will receive a Nobel Prize in climate science within ten years. I’m totally up for that bet. A thousand bucks. Even odds. Anthony can hold the stakes. Ten years from today. You in, or is this just your mouth writing a check that you are unwilling to stand behind? It should be noted that the above post has zero to do with Earthly climate and/or Svensmarks hypothesis on cloud-albedo feedback effects. It is simply about Space Weather and the enhanced hazardous environment for humans created during solar minimums. So let’s stop the hyperventilating about a hypothesis that is likely wrong and not even the subject at hand. Willis E……… – I’ve got the money – but, alas, I haven’t got the time!! Willis maybe you can answer my question. If the barometric pressure,humidity, location and time of year are exactly the same and there is a cloudless sky should the temperature also be very similar except of course for the level of solar iradiance which could be easy to calculate? Finally if this is the case shouldn’t a higher level of c02 also have a warming impact where these conditions are the same? Am I missing something with this question? If that theory ignores reduced aerosols and dust and other pollution as input parameters, then yes … right. Does that theory ignore all other potential parameters/inputs and treat GCRs as the sole contributor to CCN? While I appreciate your hint, I don’t read anywhere how GCRs and ‘controlling the climate’ exclusively. That they have an influence on cloud formation is, I conclude, indisputable as replicable experiments have demonstrated, falsifying the notion that they don’t. If cloud cover does exert an influence on the climate and temperature, then so does the GCR flux, via the proposed and observed mechanism. When it comes to ‘global temperature’ of the atmosphere (the metric of choice of the spreaders of alarm) their theory is all wet. Using temperature instead of enthalpy is like calculating inertia by considering speed, but not mass as well. Your comment accidently buys into their error. How do we know whether or not the GCR flux cools or warms the system? No one is reporting the changes in enthalpy, only the changes in temperature. Only when Trenberth was up against the wall on temperature did he seek to know the enthalpy of the oceans. Necessity is a mother. You have pointed out the spatial hopelessness of the effort to calculate the heat content of the oceans. I have commented on the inaccuracy and imprecision of their results. We can’t make sound claims about the GCR link using only temperature as the metric for the energy content of the system. That is like reporting the inertia of a variable mass by looking only at its variations in velocity. There’s a piece missing. If GCR’s trigger lighting and lightning triggers rain drop formation and rain reduces cloudiness, we have yet another level of complexity to incorporate into our Earth System model. Exclusivity is not the issue. The issue is real-world effects. While replicable experiments have shown that CRs COULD have a significant effect on cloud formation, to date I know of no studies showing that they DO have such a significant effect. In fact, I can’t find even an insignificant effect from CRs on clouds. If they did affect the clouds, then as the data above shows, we should see a strong 11-year cycle in total cloud amount … but we don’t see that. I do not see why the effect has to be ‘strong’. The effect could be ‘just enough’. I appreciate your effort – I read the article and all the cloud ones. There is one aspect you didn’t check, which is whether the scatter in your cloudiness analysis together with GCRs gives a tighter line than the one you produced ‘alone’. Where there is a clear effect from clouds and sea surface temperature, there may be a clearer effect, a sharper effect, when a mechanism that is known to affect clouds, is included. You might find, for example, that cloudiness decreased when GCRs increased, which would disprove the claim that the increase cloudiness created by sea surface temperatures. To have a statistically significant effect, GCR’s cannot be examined on their own, they have to be examined in conjunction with sea surface temperature because we know that the sea surface temperature strongly affects cloudiness. If you subtracted the sea surface effect, is there then some clear relationship that evaded your first investigation? Rather like removing a trend. It seems to me that before anyone claims not to have detected something, the known contributions to the same effect have to be mathematically accommodated. Enthalpy: Hell yes. I agree with what you just explained. Looking at only temperature tells you nothing conclusive. The arguments are strawen in nature. I get into these debates with people presenting data without appreciation of the complexity you’ve just described. Thank you for your post. global warming hoax. This current cycle 24 is much weaker and lo! The Earth is presently cooling. You only have to look at the historical record to see it staring you in the face. See the past. See the future. The earth is “presently cooling”??? Citation, please. Wilis, some things have more than one cause. Perhaps the anthropogenic warming caused by farming — increased dissolved silica run-off, albedo change, Haber process nitrogen fixation which may/have/will alter the planktonic makeup of the oceans — has been offsetting the cooling effect of the cosmic rays. Or… Or… etc. Now, about that ‘oil sheen suppresses aerosol production’ theory…. Thanks, Julian. My assertion is that IF the cosmic ray flux affects the temperature or the clouds, we’d see an ~ 11-year modulation in the temperature or the clouds. We don’t find that, which to me means that if the flux has an effect it is too small to be measured. Willis: “which to me means that if the flux has an effect it is too small to be measured.” No it does not mean that. It means you cannot find a correlation. The heat is not temperature. And there are complex latencies and thermal capacitance. I’m sorry, Mario, but unlike you and most talking heads here on WUWT, I’ve actually done the analysis and reported on it in detail. If you find errors in my work, let me know, and if you want to claim I missed something, then it is up to you to DEMONSTRATE, not just claim but DEMONSTRATE, that what I missed is there and is significant. Please stay nice Willis, the ad hominems are not needed here. If you believe as you say, “latency, and thermal capacitance are meaningless on Planet Science”, then I understand how you come to your conclusions. However, that you choose to ignor these fundamental principles, there is nothing more that needs to be said. Nor do I “ignore these fundamental principles” as you claim, I’ve blogged about them at length … unlike you. See, e.g., here and here. Just wondering aloud but maybe it does explains the Pan Evaporation Paradox though! So, more cloud formation but not caused by the usual suspects but rather; by extra nucleation! *Before a slight recovery 2000-2010 but sharply down again since then(Back to the near lowest levels of 1993). Re: “cloud formation” above. Cloud as in light reducing atmospheric haze, where it might not be noticed or expected. i.e. Induced atmospheric dimming in smog or fogs etc. There have been studies (At least one I read here on WUWT) that sighted the “qualities” of the initial nucleation had an important impact on the light reflecting characteristics of clouds. So it may not be the amount of cloud cover per-se but its particular reflectivity (And emissivity?). The Cosmics Leaving OUtdoor Droplets (CLOUD) experiment was created to systematically test the link between galactic cosmic rays (GCR) and climate, specifically, the connection of ions from GCR to aerosol nucleation and cloud condensation nuclei (CCN), the particles on which cloud droplets form. The CLOUD experiment subsequently unlocked many of the mysteries of nucleation and growth in our atmosphere, and it has improved our understanding of human influences on climate. Their most recent publication (Gordon et al. 2017, https://doi.org/10.1002/2017JD026844) provides their first estimate of the GCR-CCN connection, and they show that CCN respond too weakly to changes in GCR to yield a significant influence on clouds and climate. Of course none of this will change people who already believe that GCR cause more clouds. A) Most readers ( unlike you and me willis) will never actually look at cloud data and GCR data and temperture. B) Most readers will skip or dismiss the publications that also show no effect. Consequently most readers won’t listen to you, or leif, or (god forbid ) me. They wont check for themselves. They wont read for themselves, they wont listen to voices they trust ( like you or leif), they will just stubbornlly and unskeptically cling to the belief that ‘it might be GCRs’. Anything BUT GHGs.. 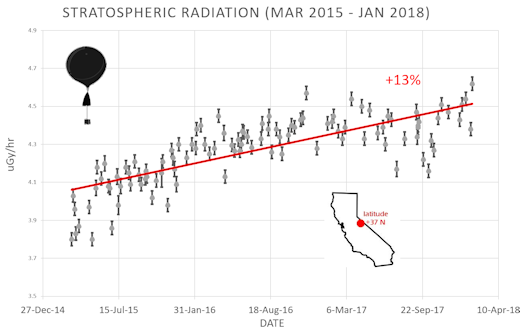 I don’t care what the so-called evidence says, I believe more and more cosmic rays are about to plunge us deeper into cooling which is much, much worse than warming. Look at Mars for example. How to destroy all allusions to impartiality in two words! The link of cosmic rays to climate or even weather is hard to establish with so many other factors at play. But experiments by Svensmark and CERN showed that ions induces clustering of water vapor, biogenic, H2SO4 molecules. The first step to CCN production. Other things affect CCN but without the first step there won’t be any CCN and without CCN, no clouds. Ions and free electrons are produced by cosmic rays in the atmosphere. Mosh, you have left out one very important consideration when it comes to CCN and GCRs which is where they have an effect because that affects how long it takes to work through the system. Prof Lu from Waterloo has created the hypothesis, conducted the experiments to show it is correct, and shown from satellite measurements over Antarctica that there is a strong enough effect by all GCRs on ozone formation and destruction (which modulates heat loss from the Southern region) to, in his words, “explain all the global temperature changes in the past 50 years”. This is a very different story from those coming from you and Willis. CO2 explains just about nothing useful concerning global temperatures. Clouds in the tropics explains a lot about the moderation and maintenance of the stable tropical temperature profile. Prof Lu’s proposed mechanism not only exists, it ‘works’. I hope you have time to read Prof Lu’s entertaining take-down of Eli Rabbet on the latter’s blog when he decided to attack Lu’s claims for satellite confirmation of his proposed mechanism. Perhaps Schmidt assigned him to tackle Lu to see what he was made of. The GCR flux is inhomogeneously distributed so why should we expect to find effects outside its region of influence which might be swamped by, for example, oceanic flywheels. Having a weak influence in real time does not mean no influence, or no influence in the long run. A simplistic proposal cannot be used to refute (or confirm) a complex system. I do not have a dog in this fight, I am just watching. The denial that solar variation could have an influence was addressed when the important influence of UV was discovered. With GCRs it looks like deja vu all over again. Svensmark makes a couple of good points, and so does Lu with his (largely natural) CFC, chlorine and bromine argument in favour of a significant role for GCRs. Just curious. How on earth do you know about “most readers” to make such categorical statements about them? You pretend to know something you cannot. That is not a healthy mental habit. It is also a very bad and impolite way of arguing towards others. I guess you would appreciate it when “most readers” do take your words seriously. Well, one of them just did. Why is it so hard for people to CITE AND LINK TO THEIR EVIDENCE! I’m not going fishing for anyone. If you wish for me to comment on a piece of research CITE THE DAMN THING! That diatribe was well written. Nothing, will change your mind. However, when you read something that confirms your bias, that is what you choose to believe. If only you would consider taking your own advice. Didn’t Svensmark warn us this would happen? Or is it nothing to do with solar physics and is it all our fault? But the predictions were based on a “leading model” of solar activity. So, the question is: is the unexpected increase in dose rates due to a change in the effectiveness of solar wind shielding, or is it merely a glitch (underpredicting) by the model? 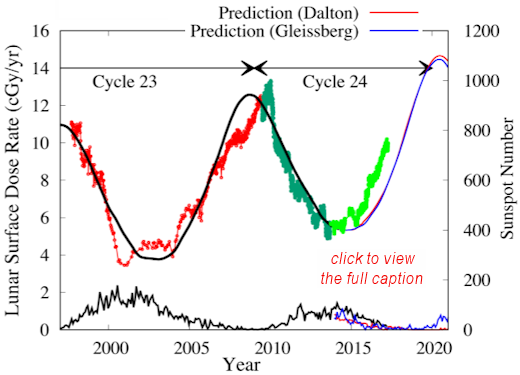 But it was already well-known that solar cycle 24 was steadily weakening since 2015, which would cause a predictable reduction in the effectiveness of solar wind shielding. Again the question is: is the quoted “13% increase” greater than expected? Or merely the result of a well-known phenomenon? The tone of the article suggests the authors may be engaging in “alarmist” fear-mongering. 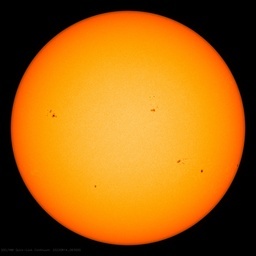 They forget [or omit…] that at every other sunspot minimum [e.g. between cycles 22 and 23, and between cycles 24 and 25] the cosmic ray intensity is lower than during the previous minimum [e.g. between 23 and 24]. What is more important is that the Earth’s magnetic field is weakening [causing GCRs that arrive at the surface to increase], but this is not a problem for long-distance spaceflight. NASA Goddard Space Flight Center is sitting on a ton of radiation data from the many Mars orbiter and lander transits of the last 20 years. They put radiation monitors on those spacecraft to assess the danger to manned-spaceflight. Going to Mars is likely a suicide mission. Even if (Big IF) the astronauts make it back to Earth alive, their bodies (stem-cell compartments in the heart and brain leading to early death, and/or hematologic malignancies) will be so radiation damaged they will be walking dead. Going to Mars is likely a suicide mission. The trip to mars will take about seven months one way. The longest time spent in space was by Gennady Padalka, who has spent 878 days in space. That’s about thirty months, or about two round trips to Mars. So how come Gennady isn’t dead? Low Earth orbit (LEO) is within the Earth’s magneto-sheath. Soyuz, Space Station and ISS are all LEO. Beyond 600 miles is the Van Allen Radiation Belts to about 1200 miles, then beyond that is …. well a long long way to Mars. And there it is GCR’s and solar protons which are a genuine hazard that Gennady never faced. They were in a place that no Earthly life form had ever been, and had never evolved to adapt to. The Apollo 13 astronauts were subjected to higher radiation levels because they had to spend 4 days in the thin-skinned (un-shielded) Lunar lander module, after the command module had an oxygen tank rupture. And that was during a solar max. Beyond LEO, man-space flight needs significant radiation shielding. And light weight shielding is an oxymoron. It takes mass. Lots of mass (or lots of magnetic field strength) to shield from relativistic protons. We are blessed on this blue ball with a magnetic shield and a thick atmosphere and gigantic water reservoir. My graduate advisor did some of the early research on this. Retinal cells are nerve tissue, which repair slowly if at all. So all those high energy particles will leave skid marks on retinas. Over a long space voyage, retinas will gradually collect more skid marks than a bad intersection. NASA inquired about this situation. My graduate advisor said, “You can send your astronauts to the stars, but they will come back blind.” No NASA research grants for him. No, they are protons and other atomic particles [e.g. helium]. I always thought protons were sub-atomic particles. Electrons, neutrons, protons, and all those other little even tinier bits. High-energy photons? I’ll believe it when I can stick a fork in one. I always thought protons were sub-atomic particles. A proton is an ionized hydrogen atom. Helium nuclei, not helium atoms. Two protons plus some neutrons depending on whichnhelium isotope, 3 or the dreaded 4 (Mouse that Roared quattrium joke there). jeez, that was understood. Who would have thought anyone needed to nit-pick on that? A person with very low self esteem, trying to “prove” themselves intelligent would nit pick such mundane details. Those who nit-pick over procedures are usually seeking leadership (positions). Offering nit-picking corrections of mistaken published content is helpful consultation. The article contains mistakes. So do some comments. There may be readers who did not know what GCR’s are. Let the corrections come. A shared understanding is more important than who contributed to which portion of it. Classic Movie that was…”The Mouse that Roared”. High energy photons, such as gamma rays perhaps? No, no rays of any kind. Let’s get this straight. A proton is a sub-atomic particle, no? Makes up nuclei, along with neutrons, with electrons orbiting. So protons, neutrons, and electrons are sub-atomic particles. I know that photons are not protons. I thought that Lief was differentiating protons from sub-atomic particles, and just wanted to be clear. “No rays at all”. After cosmic ray collision with atmospheric matter secondary xrays and sometimes gamma rays do result. A nit pick for you. Those do not penetrate deeper into the atmosphere, and are not Cosmic Rays. A result of cosmic rays though. 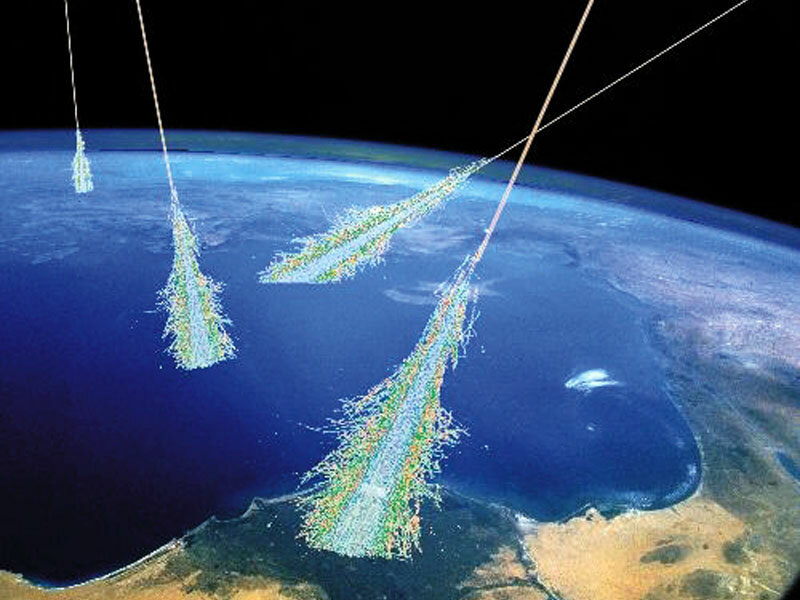 many things are results of cosmic rays, but are not relevant for the discussion. Invest in California tin foil futures! So do the hats work? Or do we need lead in them? So is there a 13 percent increase in Earth’s cloud cover as a result? Svensmark’s nucleating mechanism is experimentally correct, but his atmospheric proportions are not. Wouldn’t any increase have an impact? Why does it have to be the only influence to have any affect? The one issue left for me is where and when the cloud is formed or generated. Incoming and outgoing radiation per Km2 varies massively from equator to pole and from day to night obviously so is the resolution of the cloud measurement good enough to catch all this. We all know the chilling impact of a black cloud when sitting outside in the sun in Autumn if the actual cloud cover were altered even just in time the result could be significant. My issue with all this is that we have a poor understanding of the LIA and its drivers yet I think a most of the world has little interest in returning to it. If there was, it would be proof there is only one mechanism for cloud formation. There are many, so what we should look for are changes larger than the natural and or anthropogenic noise. Not finding it doesn’t prove it isn’t there, just that the signal is ‘in the mud’ as we HAMS say. Does the Earth’s weakening magnetic field have any part in this? This might well be a serious thing worth investigating, but one’s faith in Science has been so weakened over the last 30 years owing to Global Warming fraud, Ozone Hole, Sea Rise etc. that one tends to let it slip back into the cellar of the MInd. The Earth’s magnetic field has been gradually getting weaker over the last century or so. Definitely need to refresh the page before I start posting. Way to go NASA! You’re catching on. Well done! And yes, we are headed for a Dalton minimum. activity. And any major eruption will exacerbate global cooling. Well, the solution is easy. Just launch a bunch of Neodymium magnet into orbit. i’m going to wear my tin foil hat from now on. By “tin” foil, do you mean Aluminum or some other thing. ’cause I have Al foil, very thin, and could make a hat of a single layer or many. I’ve got no Tin. If it must be Tin, now is the time to buy futures or stocks. At one time, the foil used in most kitchens was tin. Somewhere along the line, aluminum became cheaper, but the original name stuck. Look, I’m not going along with this until Nick Stokes produces average cosmic ray anamalies around the cosmic ray average 1980-2010 and shows its all down to CO2. It’s -24 C at both Alert and Resolute.. Kinda cold for early March. I think you are watching the Ides of March. A little soon to be sure. This pattern means that Europe will remain cold, and surface winds will bring flowers and full water wells for North Africa. How long will this hold is the question. This pattern has also cut off moisture flows heading into Central America. Note how dry the air is south of Cuba and to the west. This should also mean less moisture heading north into the center of the US off of the Gulf of Mexico. There are other consequences of this shift in surface wind patterns. It’s the usual ‘worse than we previously thought’. Nit Pickers …How about wave particle duality?? These are all phenomena we knew NOTHING about before. No doubt many major climate changes happened while we were unaware of them. The climate activists take this to mean that there was NO change at all until humans started putting CO2 out – upon which all these phenomena started happening…. Are the ‘radiation levels’ mentioned, based on the Linear No Threshold ratings, or the Hormesis approach to ‘safe’ levels??? This would have seemed to be better news back when comic book writers posited that cosmic rays could turn you into a superhero. Genuine question: is a cloud signal big enough to alter the climate big enough to show in the data? I can imagine it would be pretty damped in terms of temperature, but cloud amounts should respond quicker. However, the change you are looking for is a couple of percent in albedo, IIRC, and do we have data that chops that finely? Satellites possibly? Then there’s the fact that different cloud layers affect temperature differently. The ones that do the heavy lifting are in the two to three thousand feet boundary layer above the oceans, low level stratus and stratocumulus. Maybe the amount of cloud at different levels responds differently to different stimuli. Can we detect changes in three-dimensional cloud structure? I’m well out of date, but I recall the met officer (USian) at Goose Bay reporting something like ‘three tenths at two thousand feet, eight tenths at ten thousand feet,no precipitation’ while outside the snow drifted silently down and the base was wel socked in. The RAF met man at home used to stick his head out of the window, glance around and report the sky in octas (oktas? ), probably with only a little more accuracy. The albedo change we are looking for is tiny, so much so that when there was a proposal to alter low level cloud albedo by seeding aerosols the engineers knew they would have to produce a much greater effect than necessary to convince the politicians (not many scientists among politicians in the UK) that it was working. While I’m here… Oil sheen. Aerosols. Reduced boundary layer cloud. Is the data good enough to show a 2% of less effect? Ron, thank you, it’s fascinating stuff and I’ll have to think about it. The spatially-averaged NSWR over the whole Mediterranean Basin was found to increase in MERRA by +0.36 Wm⁻² per decade, with higher rates over the western Mediterranean (+0.82 Wm⁻² per decade), and especially during spring (March-April-May; +1.3 Wm⁻² per decade). However, statistically significant trends in NSWR either for all-sky or clean-sky conditions are observed only in May. The increasing trends in NSWR are mostly associated with decreasing ones in cloud optical depth (COD), especially for the low (<700 hPa) clouds. I've flown over the Med and we go to Spain every year so I have seen how polluted the surface is. My contention is that oil pollution is suppressing wave formation and hence the production of salt aerosols — fewer and less dense low level stratocu. Surface albedo would also be lowered. It's amazing how little oil is needed to smooth the waves — I've seen a small bay in Ibiza smoothed by just the sun tan oil on the bathers. The drift of oil sheen would tend to concentrate it at the Western end, but that's just me predicting after the event. I have suggested that closed bodies of water exposed to city run-off etc will show anomalously high warming. When your use of this info takes you eventually to the presentation in Oslo, will you invite me along? We won't invite Willis, he's had his chance. Cosmic Climate Change. As it has always done. To prove or disprove the role of cosmic rays in cloud formation, put your cloud chamber in a deep mine that cosmic rays cannot penetrate. Without ions and charged particles in your chamber, try to make clouds. I predict you will need lower than saturation temperature of water vapor to make clouds. New study: Driving cars causes increased attacks from outer space! Well, there was this young reporterette who asked if Global Warming was causing more asteroids and comets to hit the earth. above the sampling noise. Smaller events are too weak to be observed above the natural variability. This is in opposition to Svensmark in a couple of ways. Svensmark claims the effects take a full seven days to be seen … but this makes no sense, as the effect of the cosmic rays is immediate, as Harrison and Ambaum found. They also cannot find any significant effect from larger or smaller Forbush events … not reassuring. A method is developed to rank Forbush decreases (FDs) in the galactic cosmic ray radiation according to their expected impact on the ionization of the lower atmosphere. This reeks, REEKS of data sniffing, particularly given the extremely rare nature of large Forbush events. Then a Monte Carlo bootstrap-based statistical test is formulated to estimate the significance of the apparent response in physical and microphysical cloud parameters to FDs. While I understand and use Monte Carlo tests, they are very, very tricky. You have to be able to generate pseudodata that corresponds to all of the statistical properties of real data, including the Hurst exponent, which is not always an easy task. PS—I also get very nervous when Dr. Nir Shaviv is an author of a paper, because he sees nothing wrong with claiming he’s found a solar-ocean connection in a paper without one scrap of solar data or measurements … see here for details. PS—Finally got the link to work on the fifth try … go figure. More comments to follow. First comment: they do not adjust their statistical results for autocorrelation … I’m sorry, but that alone disqualifies the study. Second comment: their SSMI data indeed shows a decrease in liquid water content … but in all of their graphs it starts dropping five to ten days BEFORE the Forbush Decrease. Time travel? Fifth comment: they’ve averaged the results from 3 to 13 days after the FD for their analysis … cherry picking, anyone? Why not 2-8 days, or any other choice? Sixth comment: their PC analysis also starts dropping a few days before the FD. Are all of these involving time travel? Hmm, a progressive process, with monotonically dysfunctional results? Maybe, in a limited frame of reference. Maybe in the far-domain, but that is prophecy. Unfortunately, there are a couple problems with the question. First, your question assumes that there is absolutely no interaction between say temperature and clouds. However, in fact, there is a complex interrelationship between the two that cannot be simply teased apart. Second, your question assumes cause and effect … there’s a Sufi story of interest here. “What is Fate?” Nasrudin was asked by a Scholar. Next, although it’s very easy to say things like “all other things being equal”, or the Latin equivalent “ceteris paribus”, in the real world all other things are NEVER equal. Mulla Nasruddin was walking down a street one day when a man fell off a roof onto him. The man was unhurt, but the Mulla was rushed to the hospital. “What teaching do you infer from this event?”, one of his disciples asked. Sorry if this is less than satisfactory, but I fear that your question is simply not answerable in its current form. As reported by, http://www.spaceweather.com/ today. Seems they might be omitting a few things. Or, is something up with this. Mario, I can’t tell you how many people I’ve seen make this claim about enthalpy … but I can tell you how many of them I’ve seen back it up with actual analysis. I’ve done the analysis. What it showed was that overall, enthalpy moves in lockstep with temperature and there was no gain by including it in calculations. I do believe you have done an analysis of “entropy”. That is irrelavent to what I wrote about enthalpy, which is related to heat in a system. My claim is that “temperature is not heat.” Further, various measurements of earth’s temperature alone at the timescales measure do not tell you how much heat there is, where it went and where it is stored. In summary Willis, my claim does not need proving, as it is a fundamentally understood principle. My bad, Mario, writing too fast and wrote “entropy” in place of “enthalpy”. Fixed now, and my point remains. Thx Willis: Stalemate or Checkmate, depending on our perspective. My statement, which I think needs no proof is that heat is not temperature. Are you saying you have proven that by measuring temperature, you can account for all the heat? No. I’m saying that in measurements of natural climate variations, in general, enthalpy moves in very close synchrony with temperature. As a result, using total enthalpy in place of temperature does little except for making the calculations much more complex. My suggestion to you is to do what I did—find a location with measurements of both temperature and humidity, calculate total enthalpy, and see how well it tracks the temperature. I found that they generally move in lockstep, although of course YMMV … I used the formulas here, although there are others. Thank you for pointing out my misunderstanding of what you meant earlier regarding “latency and thermal capacitance are meaningless”. You clearly did not mean that. As a skeptic, I do think you do great work, and as a scientist, which I consider you to be in the way you act and do work, I respect your work. I am not a scientist, but work in process control of many areas of science and physical systems. I think there are too many subtle nuances including imperfect data, and assumptions (related to this Planet) of what the imperfect data tells us. My skeptical side and understanding of how processes work, forces me to feel the need to point out principles which I see as significant issues. To measure heat, we need to know things that are not captured in the data, so to me temperature being used to track heat is, in my opinion, “almost” futile. temperature being used to track heat is, in my opinion, “almost” futile. Leif wrote: “temperature being used to track heat is, in my opinion, “almost” futile. That is an incomplete strawman argument. Heat is not temperature as you know. Of course your statement alone is a general reasonable statement, but is sidetracks from my correct statement. We need to know other things to calculate heat. I submit, to hold those other things as constant and known, as you posited in prior posts, proves my point. They are neither constant or known in the timescales needed. This is circular reasoning. Heat is not a property of a body but is indicated by the change of temperature, which then is a very good measure of heat. When you have a fever, how do you measure that? with a thermometer. That is the way it is done, and there are no subtle aspects about this. Come on Leif: In your example, you need to take the temperature while your mouth is closed, to prevent the cooling causes by your open mouth cooling in response to the latent heat energy changing due to evaporation and heat transfer from cool air entering your mouth. That measurement is a controlled process. We can not do that with the atmosphere. In your example, you can tell the temperature of the exhaust in a combustion engine by measuring the the water temperature in the cooling system. No mechanic would agree that it is possible to know the exhaust temperature by measuring the water temperature. For the atmosphere, the temperature is a good measure, because other variables change so little when averaged over 30 years. Now, your contention is that temperature is useless, so measure the enthalpy [or whatever] and use that as an indicator for global warming, if you can, and show a figure with the result. People that measure heat content [be careful: heat content (a bodily property) is not the same as heat (not a property)] use temperature to do that. Nothing wrong with that, perfectly fine. By the way ‘heat transfer’ is meaningless, as heat IS the transfer. Perhaps you meant ‘energy transfer’, but heat and energy are not the same. I am not suggesting we should measure something like enthalpy, I am saying because of the reality that temperature is not heat. Further that temperature measurements in discrete points of time (which is the topic of discussion) cannot be used to show a net increase or decrease in heat of the planet without knowing where the heat went. Heat is a form or energy, and yes I meant heat changing forms of energy such that at a given temperature, the amount of energy in a system can vary wildly by up to 2 orders of magnitude. I always learn something from brilliant minds, and so thank you!. I meant Heat as in the total energy of molecular motion in a substance, while temperature is a measure of the average energy of molecular motion in a substance. It is hard to be precise. What is meant by ‘molecular motion’. If I drop a stone the molecules in it certainly moves [down to the ground], but that is not heat [until the stone hits the ground]. So you mean the random motion, but the molecules can also vibrate, and in the end all those motions make up the internal energy of the substance, which happens to be proportional to its absolute temperature [via Boltzmann’s constant]. So temperature is very useful: that is what we can actually measure. Yes, and thank you Leif! The amount of energy in the stone is proportion to the average temperature of that stone and the heat capacity of the material. With air it’s more complex, since it depends on the state of the components. water droplets at a temperature hold a vastly different amount of energy than water in gaseous state at the same temperature. So knowing the temperature depends on what (including its state) and how much of that is being measured. Am I wrong here? In other words, temperature alone does not tell you how much energy there is in what is measured. I think so, because the various gases are in thermal equilibrium because of collisions. There are not different temperatures for the Nitrogen, the Oxygen, the Argon, the Dihydrogenoxide, and the CarbonDioxide. Makes sense, just water is the one hole in this. Water depends. And the subject here is that of changes in state of water. If there is a net change in water state due to GCR, then that might be measurable and might lead to some interesting science. Water is a bit special, but it really doesn’t matter. The water in your pipes freezes at 32F regardless of the humidity of the air. The various properties of water in the end still determine its contribution to the air temperature, which is the macrostate property we are interesed in. Temperature is a simple, and useful, measure of all that. But the make up of clouds is not known based on temperature. What is the state… little ice crystals or water vapor, or water droplets. But where and when they form is very dependent of temperature and in turn influences the temperature. There is also a good correlation between temperature and clouds both ways [I think that Willis looked into that]. If you make any claims about this, you must be specific, not just wave you hands and think it is ‘interesting’ science. There is no correlation between cloudiness and GCRs. Lots of cliams, but nothing believable or compelling. I recall reading years ago, Willis’ excellent following of clouds as regulating temperature into space. Reminded me, somewhat at the time, of the Iris Effect by Lindzen… but different. If there is no delta cloud cover related to GCRs then OK. I thought that there was some work done to show effect on how and where clouds form as related to GCRs. Thank you for engaging with my hand waving, which is what I do. SORCE than for the NRLSSI data. Correspondingly, larger UV forcing also leads to a larger surface response. The 11-year solar cycles in ozone and temperature are examined using new simulations of coupled chemistry climate models. The results show a secondary maximum in stratospheric tropical ozone, in agreement with satellite observations and in contrast with most previously published simulations. The mean model response varies by up to about 2.5% in ozone and 0.8 K in temperature during a typical solar cycle, at the lower end of the observed ranges of peak responses. Neither the upper atmospheric effects of energetic particles nor the presence of the quasi biennial oscillation is necessary to simulate the lower stratospheric response in the observed low latitude ozone concentration. Comparisons are also made between model simulations and observed total column ozone. As in previous studies, the model simulations agree well with observations. For those models which cover the full temporal range 1960–2005, the ozone solar signal below 50 hPa changes substantially from the first two solar cycles to the last two solar cycles. Further investigation suggests that this difference is due to an aliasing between the sea surface temperatures and the solar cycle during the first part of the period. The relationship between these results and the overall structure in the tropical solar ozone response is discussed. Further understanding of solar processes requires improvement in the observations of the vertically varying and column integrated ozone. I could not locate the above paper where it was offered for free (only made a quick attempt to search online). TO DO: See if Gray (or other co-author) posted it on a personal research site such as Leif S. does on his. – Note: Apparently (as of paper’s date of 2008), NO one has evidence, i.e., data/experiments, that proves UV-ozone – climate mechanism. That is: at this point, there are ONLY MODELS, programmed with accurate but inadequate variables (too little known to establish cause-effect). Understanding the influence of solar variability on the Earth’s climate requires knowledge of 1) solar variability, 2) solar-terrestrial interactions and the 3) mechanisms determining the response of the Earth’s climate system. We provide a summary of our current understanding in each of these three areas. 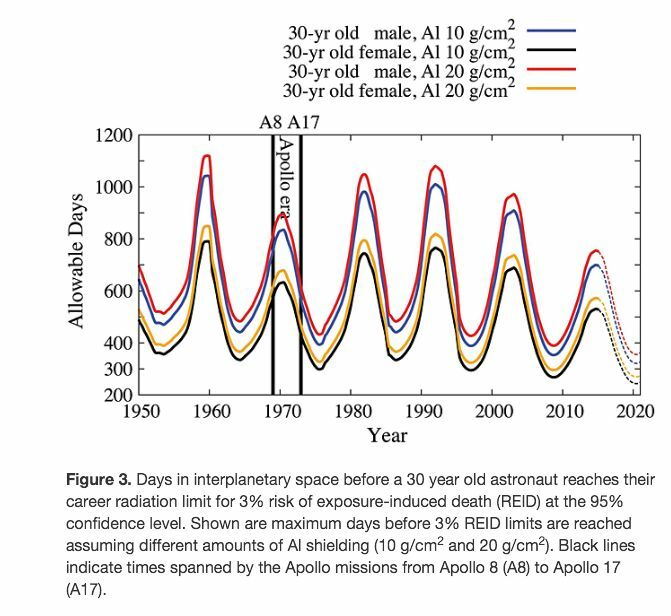 1) Observations and mechanisms for the Sun’s variability are described, including solar irradiance variations on both decadal and centennial timescales and their relation to galactic cosmic rays. 2) Corresponding observations of variations of the Earth’s climate on associated timescales are described, including variations in ozone, temperatures, winds, clouds, precipitation and regional modes of variability such as the monsoons and the North Atlantic Oscillation. A discussion of the available solar and climate proxies is provided. 3) Mechanisms proposed to explain these climate observations are described, including the effects of variations in solar irradiance and of charged particles. 4) Finally, the contribution of solar variations to recent observations of global climate change are discussed. Comment: Questions: 1. What is the evidence that establishes: (1) the nature of; and (2) the significance to climate of the UV-ozone mechanism? 2. What EVIDENCE refutes the hypothesis that UV significantly affects climate? Comment: Q’s: Any evidence of long-term effect? Any evidence DIS-proving long-term effect? Comment: Thus, Mario, your measured “perhaps” and I believe there is likely to be – type language above is far more in line with the current state of the science than over-confident assertions that changes in UV almost certainly do NOT affect climate. We just don’t know. Your being curious and open is good and shows scientific integrity. Comment: So far, only lower stratosphere shows evidence of significant ozone signal. Q: What evidence is there that this is ultimately propagated to Earth’s climate? And, again, what evidence is there that this is impossible or insignificant v. a v. climate? … at equatorial latitudes Salby [HURRAH FOR SALBY — yes, he DESERVES a cheer! :)] and Callaghan  identified an interaction between the stratospheric B‐D circulation and the tropospheric Hadley circulation … but again, this does not provide a chain of causality. [Id. at 29] There are many proposed mechanisms for a downward influence from the lower stratosphere into the troposphere … response in tropical vertical velocity was not uniformly distributed in longitude but was largest over the Indian and West Pacific oceans, … despite having imposed SSTs, suggesting that their tropospheric signal was a response to changes in the stratosphere and not to the bottom-up mechanism of TSI heating of the ocean surface … . This would be consistent with the results of Salby and Callaghan  (see Figure 25), whose analysis suggested that the stratosphere and troposphere are linked by a large‐scale transfer of mass across the tropopause resulting in a coupling of the B‐D circulation in the stratosphere and the tropical Hadley circulation in the troposphere. However, as discussed in section 4.2.2, this does not preclude the possibility that there is an additional positive feedback from the oceans so that both top‐down and bottom‐up mechanisms are acting in the real world. Comment: It may be entirely ENSO which is the controlling forcing. Q: Is the relative strength of ENSO v. UV-solar precipitation forcing known? I apparently was mistaken, Mr. Eschenbach. Thank you for bringing that to my attention. I thought GCR’s and atmospheric chemistry (and some physics) were related topics vis a vis clouds and climate, etc..
I’m surprised to see you characterize my fairly well organized, orderly, summary of Gray, et al. as merely a “mish mash,” but, I take it that your key point is that my bringing Gray, et al. into the discussion here was unhelpful at best (and, apparently pretty irritating). Janice, I have exactly zero idea what your point was in all of that. How about telling us in two or three sentences what you conclude from that total mish-mash of quotes and links and ??? Oh, please, get off your high horse. I said nothing of the sort. One thing I’ve learned in writing for the web is that in general, the author is the WORST person for judging whether their writing is “well organized” or “orderly” … in this case, I’m sorry, but your comments were neither well organized nor orderly, and your main point(s), whatever they might have been, were buried so deeply I had and still have no idea what they were. … but, I take it that your key point is that my bringing Gray, et al. into the discussion here was unhelpful at best (and, apparently pretty irritating). Really? I have the courtesy to ask you to summarize your ideas so we can all discuss them, and you think this is me saying you are unhelpful and irritating? Where did I say anything even remotely like that? If I were to think you were unhelpful and irritating, don’t worry, you’d know about it loud and clear—as you know I’m not a man to mince words … BUT I DIDN’T THINK THAT!